Dr. Pesce was very knowledgeable and explained every step of the visit. She also presented the medical options to me ina way that was very clear and allowed me to decide between gathering more info or moving forward with procedures right away. Overall great doctor and would recommend for anyone's ENT needs! Dr. Pesce was very knowledgeable and explained every step of the visit. She also presented the medical options to me in a way that was very clear and allowed me todecide between gathering more info or moving forward with procedures right away. Overall great doctor and would recommend for anyone's ENT needs! Dr Pesce is incredible! She made me feel comfortable and was so attentive to all my anxieties about medical procedures. Incrediblebedside manner. Would recommend her 100%. Dr Pesce is incredible! She made me feel comfortable and was so attentive to all my anxieties about medical procedures. Incredible bedside manner. Would recommend her 100%. Dr. Julianna Pesce grew up in Carmel, California. She attended the University of California, Berkeley as an Alumni Scholar, where she majored in Ethnic Studies and completed her premedical basic science training. Upon graduating, with honors, she worked as a blood transfusion technician at UC San Francisco before applying to medical school. Dr. Pesce received her Medical Degree from the David Geffen School of Medicine at the University of California, Los Angeles. While in medical school she became involved in research studying the socioeconomic determinants of health, and completed a clinical research fellowship in the Bioethics Department at the National Institutes of Health in Bethesda, MD. 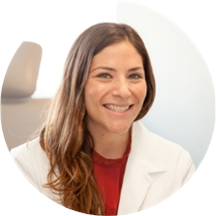 Dr. Pesce continued her residency training at UCLA , completed an internship in General Surgery and residency in Otolaryngology/Head and Neck Surgery. Following residency, she was awarded and completed a fellowship in Advanced Head and Neck Surgical Oncology at the Memorial Sloan Kettering Cancer Center in New York. Dr. Pesce treats all general adult and pediatric ENT problems with a special focus on head and neck cancer as well as thyroid and parathyroid disease. She currently resides in West Los Angeles with her husband. Dr. Pesce is very caring, kinds, professional and knowledgeable. I highly recommend her! Very professional and carrying to my daughter. Fantastic doctor!!!!! Dr. Pesce was very nice and took her time with my questions. It was my first visit to an ENT and she made me feel very comfortable during the Laryngoscopy. I would recommend her 100% for any and all ENT concerns. Dr. Pesce was fast, thorough, and knowledgable. She took the time to fully understand my symptoms and made me aware of all of my options for treatment. Professional and willing to explain even mundane details. Her work was stellar and her staff extremely helpful. Highly knowledgeable and professional. She cleared my ears to get a good look at the eardrums. She then performed a series of head maneuvers to help with "Benign Positional Vertigo" She fully explained what caused the vertigo and reassuredme that it was a fairly common condition that should resolve in a few days/weeks. I was very pleased with her explanation. Loved her! She explained everything to me and in terms I could understand. I will definitely go back! Very thorough and explained everything. I had a lot of questions and she was very kind and patient talking through everything. Would highly recommend Dr. Pesce and Westside Head and Neck. Dr. Pesce was very thorough, and clear about what my symptoms might mean, and got to figuring out my diagnosis right away. I only waited 5-10 minutes, and she was very professional and personable. She followed up with my test resultsover the phone fairly quickly, and gave me plenty of options for treatment. I highly recommend her! Dr. Julianna Pesce was very nice. You could tell she actually cares about her patients. It was great! Very quick, painless, and informative. Dr. Pesce was thorough in my examination. She explained to me exactly what she would be doing and made sure that if I was at all uncomfortable to let her know. I would recommend Dr. Pesce.